The apparatus “AS-C3” will be a bargain for your beauty salon or private cosmetology practice! Its price is the best and quality is excellent. You can use this device for a lot of useful procedures. - Ultrasound Peeling. It is a useful procedure for your customers with skin problems who need to renew their skin, to increase its elasticity and tone. After ultrasonic peeling skin loses gently its horny layer, after that microcirculation in the epidermis improves a lot. After this procedure skin pores become clogged much slower, the tone of a face becomes healthier, the production of sebum is reduced. - Phonophoresis is used for introduction of active cosmetic creams, serums or other drugs. - Ultrasonic micro massage affects the skin on the cellular level. In this way it launches metabolic processes in the tissues, improves skin tone and elasticity of the epidermis. The set includes three functional sensors. They help to work on not only the face, but also on other areas of your visitor’s body. 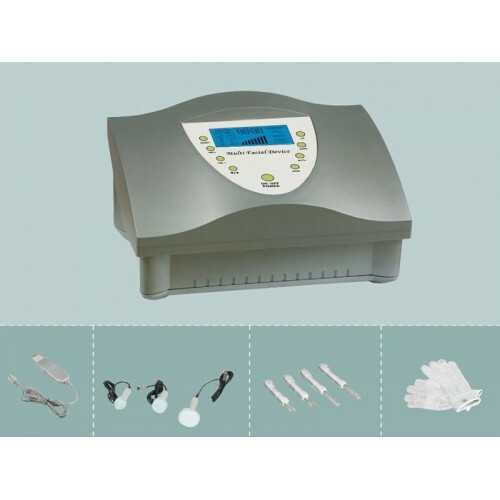 The massage, performed by this device, can perfectly solve the problem of cellulite in combination with other techniques. We described only few capabilities of the cosmetic unit “AS-C3”. You will realize how necessary this device is for your beauty salon or private practice after the purchase!